Just weeks after receiving an award for great service at the Jet2.com supplier conference, JMC Recruitment have launched a custom software solution to further enhance their service provision. 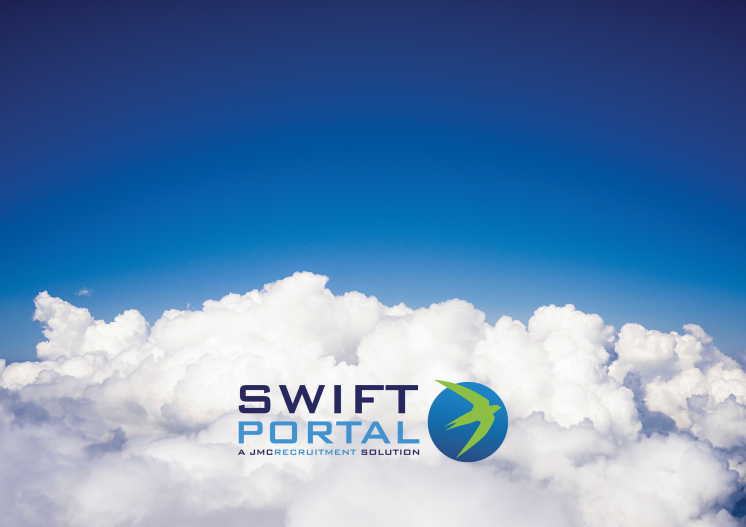 The Swift Portal has been created to provide JMC clients with a greater control and visibility of the end-to-end recruitment process. This new tool offers a streamlined, user friendly interface that provides recruiting managers and department heads with the capacity to create, manage and edit permanent and contract vacancies, review candidate submissions, shortlist candidates, and schedule interviews. The platform utilises secure cloud-based technology and can be accessed anywhere, anytime – providing users have access to the internet. In addition to the core functionality, Swift includes a reporting suite that allows you to evaluate the performance of your vacancy portfolio against core KPIs and Service levels. The portal has been designed and built to integrate specifically with JMC Recruitment’s back office system. Swift reduces reliance on email communication, and saves customers time by pooling all submissions in one place, thereby improving the ability to benchmark candidate quality. A reduced need to print CVs further reflects JMC’s environmental policy and our policy of reducing waste. Following a successful testing period, JMC Recruitment are now making the product available to their global network of aviation clients.